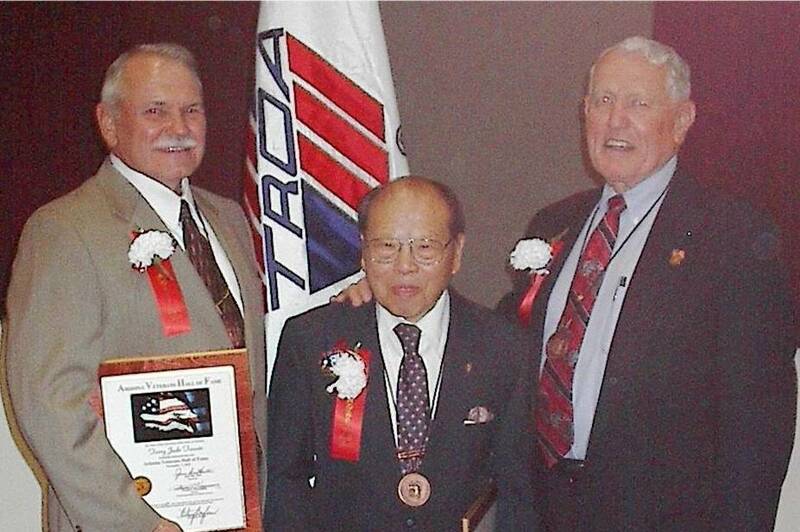 On the 7th of November, 2002, Arizona was witness to the induction of 20 distinguished men and women into the Arizona Veterans Hall of Fame as the “Class of 2002.” This gala affair was at the Shrine Temple. The Chapter had three Honorees, pictured left to right, Terry Tassin, Bill Toy, and Senator Tom Smith. 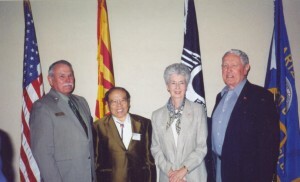 They are shown along with Joanne Thompson wife of Bill Thompson (deceased) who was inducted in the inaugural Class 2001. 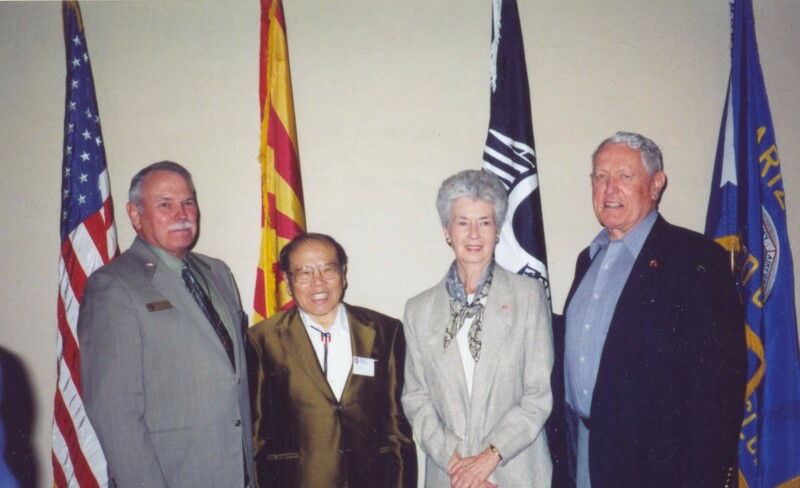 The awards consisting of a medallion and a plaque were presented by Governor Jane D. Hull and Patrick Chorpenning, Director of the Arizona Department of Veterans’ Services. LtCol and Arizona State Senator Tom Smith, USMC Ret., for his Marine Corps service and for his tenacious legislative efforts and support of all veterans issues. COL Webb W. Ellis, USA Ret. 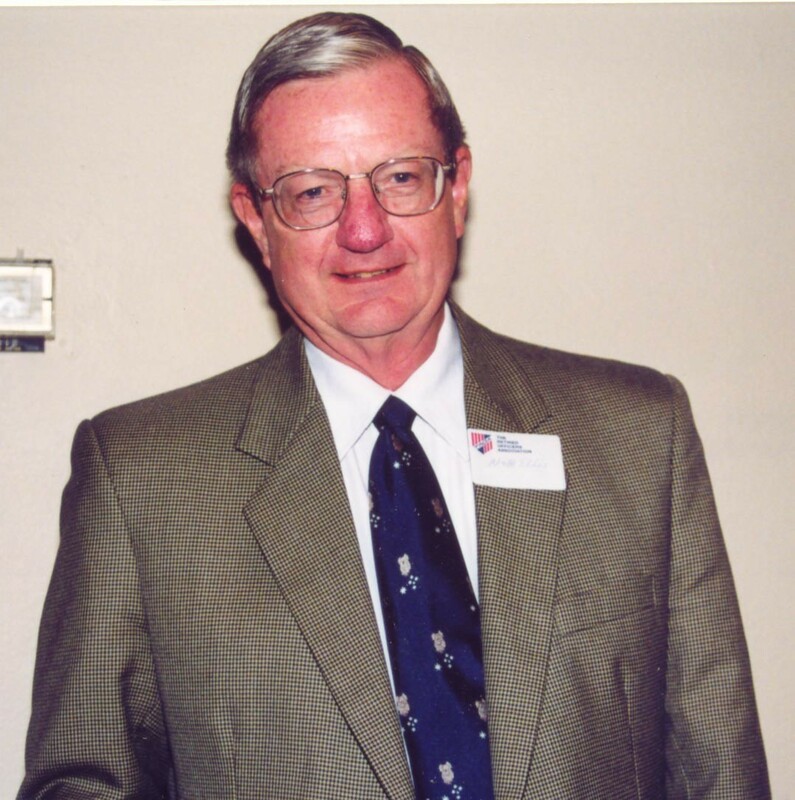 Also inducted was Representative Bob Stump (AZ), and it was announced that the building which will house the Arizona Veterans Hall of Fame will be named in his honor. Webb Ellis, Chairman of the Unified Arizona Veterans and member of the First Arizona Chapter – MOAA, opened the festivities.